Below you fill find all funeral homes and cemeteries in or near Voorhees. Popular neighborhoods in Voorhees include: Kirkwood, Osage, Kresson, Glendale, Camden County, and Echelon. Suburbs of Voorhees: Echelon, Kirkwd Voorhs, Kirkwd Vrhes, Kirkwood, Voorhees Kirkwood, Voorhees Township. Voorhees is also known as: Voorhees Township, and New Jersey. Their current mayor is Mayor Lawrence Spellman. Zip codes in the city: 08043. There are currently 5 funeral options for this city. Some of the notable people born here have been: Colleen Dengel (actor), Suzanne Dengel (actor), Zac Farro (musician and drummer), Josh Farro (musician and songwriter), Anthony Flamini (cartoonist), Phil Trautwein (athlete and american football player), and Molly Schaus (ice hockey player). Voorhees Township is a township in Camden County, New Jersey, United States. As of the 2010 United States Census, the township's population was 29,131, reflecting an increase of 1,005 (+3.6%) from the 28,126 counted in the 2000 Census, which had in turn increased by 3,567 (+14.5%) from the 24,559 counted in the 1990 Census. Voorhees is a New Jersey suburb in the Greater Philadelphia Metropolitan Area.Voorhees Township was incorporated as a township by an Act of the New Jersey Legislature on March 1, 1899, from portions of Waterford Township. Portions of the township were taken on March 8, 1924, to form Gibbsboro.The township is named for Foster McGowan Voorhees, the Governor of New Jersey who authorized its creation. It was revealed by The Daily Journal on February 8th, 2019 that William M Jr "Bill" Bonsall passed away in Voorhees, New Jersey. Bonsall was 76 years old and was born in Philadelphia, PA. Send flowers to share your condolences and honor William M Jr "Bill"'s life. It was written by The Daily Journal on December 25th, 2018 that Luis "Joseph" Santos passed on in Voorhees, New Jersey. Santos was 79 years old and was born in Comerio, . Send flowers to express your sorrow and honor Luis "Joseph"'s life. It was disclosed by The Daily Journal on November 14th, 2018 that Eva M Dileo (Kozlarski) passed away in Voorhees, New Jersey. Ms. Dileo was 73 years old. Send flowers to express your sympathy and honor Eva M's life. It was disclosed by The Daily Journal on August 15th, 2018 that Denise L Staubyn (Carluzzo) perished in Voorhees, New Jersey. Ms. Staubyn was 62 years old. Send flowers to express your sorrow and honor Denise L's life. It was reported by The Daily Journal on July 11th, 2018 that Darlene Manor passed away in Voorhees, New Jersey. Manor was 67 years old. Send flowers to express your sympathy and honor Darlene's life. It was revealed by The Daily Journal on June 28th, 2018 that Marie Y Apprendi passed on in Voorhees, New Jersey. Apprendi was 98 years old. Send flowers to express your sorrow and honor Marie Y's life. It was written by The Daily Journal on May 5th, 2018 that David K Steitz died in Voorhees, New Jersey. Steitz was 81 years old. Send flowers to express your sorrow and honor David K's life. It was revealed by The Daily Journal on January 17th, 2018 that Manella S Cohen (Teichman) perished in Voorhees, New Jersey. Ms. Cohen was 70 years old and was born in Munich, . Send flowers to express your sorrow and honor Manella S's life. It was noted by The Daily Journal on December 11th, 2017 that Mary W Harris (Wheaton) died in Voorhees, New Jersey. Ms. Harris was 98 years old. Send flowers to express your sympathy and honor Mary W's life. It was written by The Daily Journal on September 25th, 2017 that Nicola "Nick" Mill passed on in Voorhees, New Jersey. Mill was 88 years old. Send flowers to express your sympathy and honor Nicola "Nick"'s life. Voorhees is a New Jersey suburb in the Delaware Valley Philadelphia Metropolitan Area. 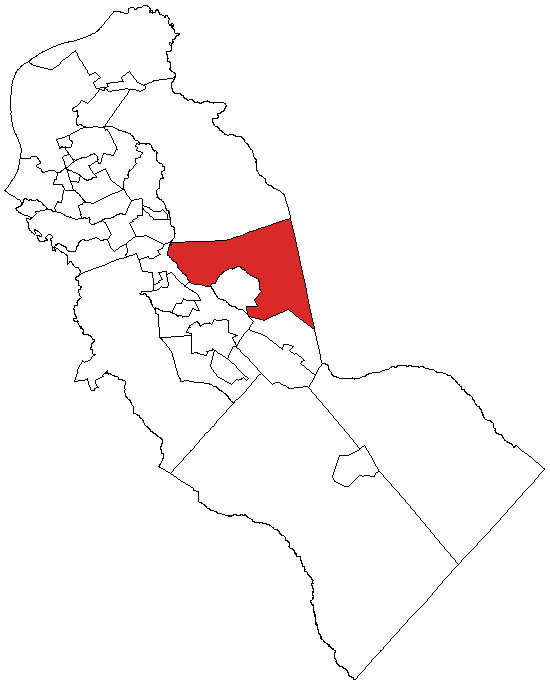 As of the United States 2000 Census, the township population was 28,126. Voorhees Township is a Township (New Jersey) in Camden County, New Jersey County, New Jersey, United States. . . The official website for the city of Voorhees is https://www.voorheesnj.com/. Funerals in Voorhees, NJ 08043 on Yahoo! Local Get Ratings & Reviews on Funerals with Photos, Maps, Driving Directions and more. Listing all funeral homes in Voorhees, New Jersey so you can easily send flowers to any location (same day delivery) or find any funeral service. Find a Funeral Home inVoorhees, New Jersey NJ to provide the caring burial and ceremonial services your family deserves. We work with local florists and flower shops to offer same day delivery. You will find budget sympathy flowers in Voorhees here. Our funeral flowers are cheap in price but not in value.